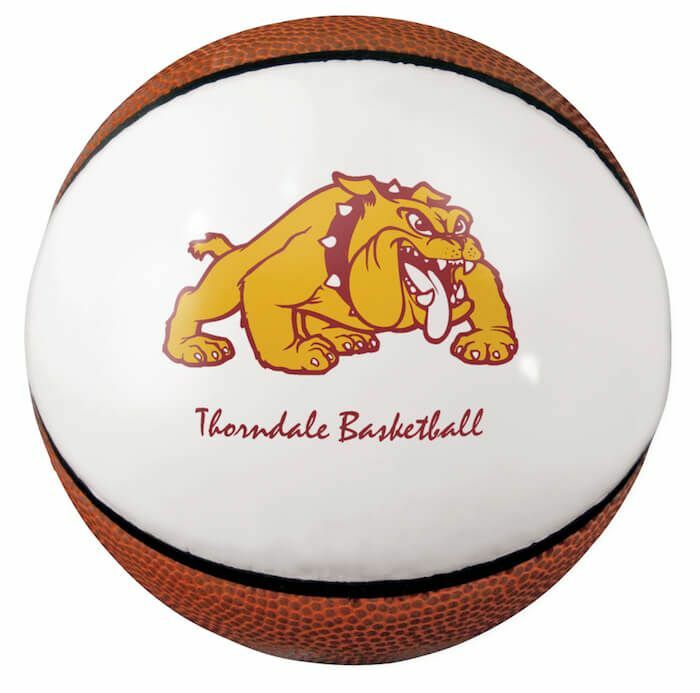 Synthetic leather basketballs with one white autograph panel. Just as described. Printing turned out fantastic. I'll be ordering more! Great item. They look just like the photo deigns.